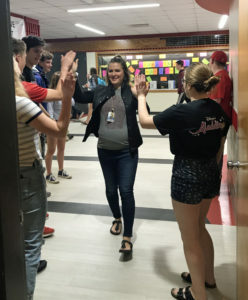 Teachers at Logan High School were greeted with “high fives” from students on Thank a Teacher Day in 2018. 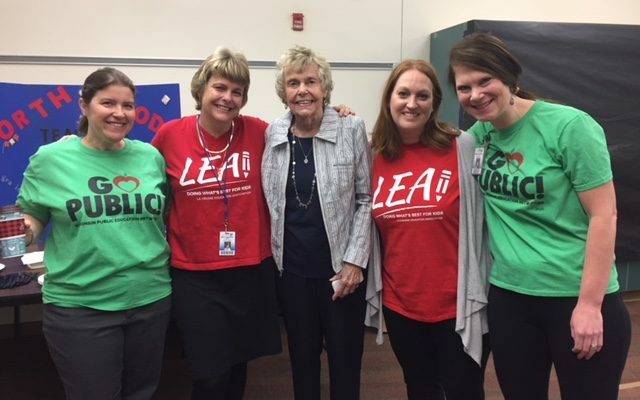 Teachers, cooks, custodians, nurses and other staff deserve our thanks every day, but LPEF brings some extra attention — and treats — to school staff with our annual Thank a Teacher Day. 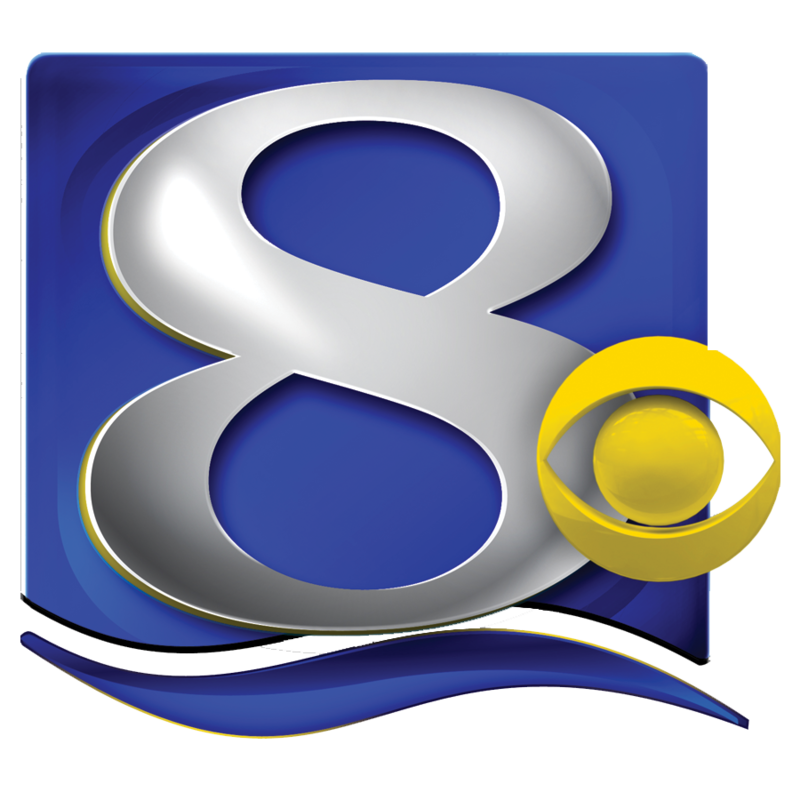 This year’s event will be held before school on Tuesday, May 7 as volunteers organized by LPEF will deliver muffins, donuts and fresh fruit to all staff members in the School District of La Crosse. See photos from 2018’s Thank a Teacher Day. 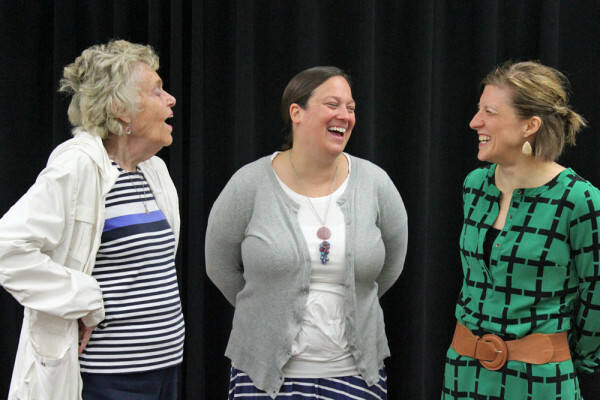 This is the fifth year of our Thank a Teacher Day celebration and treats are provided through a generous gift from a new permanent designated fund at the La Crosse Community Foundation called the Carol Taebel “Thank a Teacher” Fund. 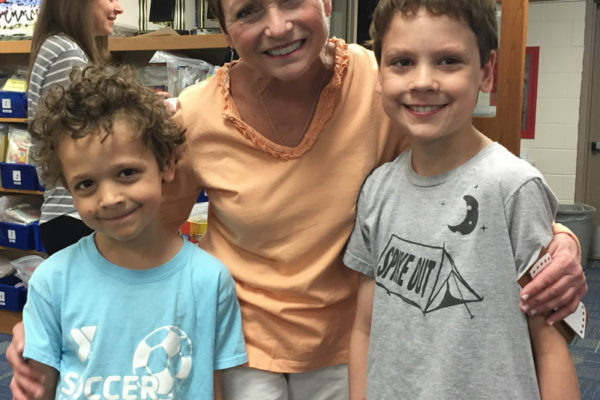 Carol, a former teacher and longtime community volunteer, set up the permanent fund last fall — but has been providing funding for the treats every year since 2015. “I think so much is expected out of teachers, more and more and more, and they get so little credit,” Carol says. “They are with kids all day long and I just needed to do something” to show appreciation for all that the school staff do on behalf of children. Parents, students and community volunteers will join us before school May 7, including members of the District Wide Parent Committee, as well as Rotary Interact Club members. Adult and student volunteers are needed to assist with greeting teachers, creating “thank you” posters and other messages.